A common question that my clients ask as summer approaches is “What can I do with my curly hair for summer?” My answer is always to work with their natural curl and use the right hair care products to keep curly hair shiny and bouncy while fighting frizz. Here are a few of my favorite products! First and foremost, if you don’t have a great moisturizing shampoo and conditioner for your curly hair, get one now. A shampoo and conditioner like Matrix Curl Life, is perfect for all types of curly hair because it helps to smooth frizz and define curls. Curly hair needs plenty of moisture, which is why Matrix Curl Life Shampoo and Conditioner are great! I always use a Detangler on curly hair before combing it out with a wide tooth comb and you should too! This is especially important for those with curly hair in the summer as your curls can easily tangle and break. Spray the Detangler on towel-dried hair and comb through with a wide-tooth comb. If you use a brush or regular comb, you run the risk of breaking hair in its wet, fragile state, which will cause additional frizz. 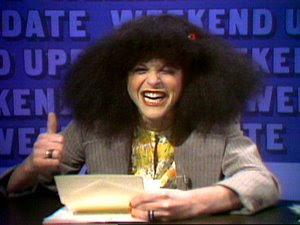 And frizz is not a curly-haired girl’s friend! Don’t forget to buy a great styling product or two, to enhance shine, define curls and add bounce. Redken Ringlet 07 Curl Perfector, is a great product that seems to do it all by enhancing shine, defining curls, adding bounce and even controlling frizz. I like this product because it is a hybrid of a styling cream and a gel, which are both great products used to control curly hair. Curly hair needs extra TLC during the hot, summer months. Try adding a little extra sun protection products to your hair care product inventory. Aveda has a new line called, Sun Care which protects your hair from UV rays, salt and chlorine, all of which can wreak serious havoc on your hair. Aveda may be a little on the pricey side, but I love their products . . . and they smell great! In addition to using some of these great products which are formulated for curly hair, consider adding in a weekly or bi-weekly deep conditioning treatment for your curly hair. You can treat yourself and have this done at the salon or, do it yourself at home. Just remember in order to get the best deep conditioning results, you will need to add heat to your hair and let the conditioner stay on the hair for at least 15 to 20 minutes. One of my favorite deep conditioners is, Paul Mitchell’s Color Protect Reconstructive Treatment. So, if you keep in mind that your curly hair needs extra moisture . . . especially during the summer, and you give it what it wants . . . you’ll be fine and looking marvelous!! TO PREVENT BORING HAIR NEXT TIME: Lay off the heavy styling products. It’s tempting to douse fine hair with volumizing spray to help combat limpness, but these products cause buildup at the roots and, in humid weather, flattens hair even more. Bulk up with protein. Fine, straight hair lacks protein, which gives hair, body and helps it hold a hairstyle in humidity, says hairdresser Erica Colameta. To add it, shampoo and condition twice a week with protein-rich products, like Aveda Smooth Infusion shampoo and conditioner ($20 each, www.aveda.com). PROBLEM: Your hair resembles a steel-wool pad: puffy and frizzy. HOW IT HAPPENS: Curly, coarse, and chemically treated hair is often moisture deprived, so the cuticles on each strand are raised, making the hair more porous This type of hair absorbs moisture from the air, which makes the hair shafts swell up. The result: big, unwieldy hair. TO FIX IT NOW: Fight frizzy summer hair with a moisture blocking styling cream or serum, like Arrojo Defrizz Serum ($14, www.arrojoproduct.com). Look for products with silicone or oil to smooth and slightly weigh down hair. Rub a quarter-size dollop between your hands and work it through the strands. TO PREVENT IT NEXT TIME: Get the right cut. Layers, which add volume, encourage puffiness in the summer Ask for a blunt cut, which holds down the ends and reduces the fluff factor. Make sure your hairdresser cuts with scissors not a razor, which thins out hair, making it prone to frizz. Keep hair hydrated. Use an oil treatment to seal cuticles so hair can’t absorb moisture, says hairdresser Abell Oujaddou. (Try Molton Brown Hair Treatment Oil, $30) Apply from roots to ends, leave in for 15 to 20 minutes, then rinse well. Use a clarifying shampoo and conditioner followed by a deep conditioning hair mask, once a week to keep build up at bay and strands well-moisturized. If you’re swimming—ocean or pool—rinse your hair with filtered water to remove any leftover chlorine, debris or saltwater. Don’t forget to wear a hat on those beach days! It will limit sun exposure (and burns) to your hair and your scalp. Avoid shampoos containing sulfates, wash only as needed, and rinse with cool water to help protect your hair color. Treat your hair like you would your skin! Use an sun block to help reduce UV damage to your locks. To make your own sunscreen, dilute 2 teaspoons of an SPF 25 sunscreen with one cup of water, fill a spray bottle with the mixture and spritz into your damp hair before styling! For additional protection, you can continue to mist the solution on throughout the day. Give heat styling tools a rest during the summer! Opt to air-dry your hair instead and use a light styling cream Lamas recommends his Chinese Herbs Revitalizing Styling Cream to help keep fizz to a minimum and show off your natural hair texture. Getting the right haircut to handle humid weather is crucial. Add layers to curly hair to keep locks from jutting out at the bottom and creating a pyramid shape. For straight hair, you want a little extra weight at the bottom to prevent it from expanding in the humidity, so avoid haircuts that are too choppy or over-texturized. Apply a leave-in conditioner throughout the day to give your locks a hydrating boost. Because summer is rougher on hair than other seasons. it is more important to get your hair trimmed every 4 to 6weeks. The ends of hair become weak from color treatments, processing, sun, and chemicals, causing them to split and fray Bump up your normal haircut schedule in the summer to keep hair looking and feeling healthy. September 28, 2014 By: Barb Quinn Leave your comments (0), Your input matters.